CSC: What were the basic mantras of your success? Jagdish: The basic mantra was to remind myself throughout the journey, of the motivation behind preparing for this examination. A motivation that lies beyond oneself. I wish to better the lives of people, through the responsibility endowed on me by civil services and I believe that voluntary contributions can never be a substitute to institutional mechanism. CSC: When did you start preparation for the IAS Examination? When should one ideally begin thinking about preparing for this exam? Jagdish: I had started seeping through the content of the syllabi for the examination in 2013, but I effectively started preparation in Dec 2015, after experiencing a failed attempt. The intensity increased manifold over the last one year. There is no ideal timeline to this examination. But, if one has the right guidance, it is possible to qualify within one year of preparation. CSC: Which is the most difficult part of IAS examination and why? What was your strategy to tackle this difficult part? Jagdish: The most difficult part is the wait of results after each stage. After that, it is the preparation for Preliminary examination. Its scope covers many things under the sun. Also, it is the very stage where the success ratio is the least, i.e. maximum aspirants are ousted from the exam cycle. The key strategy was to remember that it is not about how much you read but more of how much you retain. Thus, I relied on management of time, and coverage and revision of current affairs and static portions. Alongside, regular mock tests for Prelims were a key factor to cement and learn further. Also, I would suggest, that someone planning to give it next year should get into the Prelims mode four months prior to the examination. CSC: How did you manage your time in both Prelims and Mains examinations? Jagdish: Time management was a key to success. I divided my day in terms of hours of study, and relaxation. Also, I pinned down daily targets with a review of them in the evening. I also utilised the time of lunch and dinner by listening or watching a video for both Prelims and Mains. I limited my sources but went for a comprehensive study. Also, I started with the static portions in first half of the Mains and covered current portion after they saturated significantly for a holistic coverage. CSC: Did you integrate your Prelims and Mains preparations or were these separate? Jagdish: Though often suggested, I did not. I took all the three stages by themselves, owing to the difference in scope of study and nature of questions asked. I relied on memory for Prelims and presentation for Mains primarily. CSC: Tell us something about preparation of ‘Essay’ paper. Jagdish: I had no strategy for Essay at first and it developed over time while preparing for Mains examination. I experimented in the Mock tests with respect to the different kinds of introductions, of use of quotes and without it, etc. One thing that I learnt was that it is better to draw a rough outline of the essay on the back of the paper and deliberate on the organs of the body of essay in the starting 15-20min before writing an essay. This lets us go back for reference and enables a wider coverage of content. Most importantly, it should be lucid enough for a 10th class student to understand, without compromising on the depth of the material. CSC: Did you prepare notes? How helpful are the notes? What is your advice on notes-making? Jagdish: Notes were another important factor. I primarily made short notes on both theory and application of concepts for my optional subject and Ethics paper and static portion of Mains examination. For the other papers, the notes were issue based, banking on current issues. For essay paper, I collated the quotes from different non-controversial leaders – Buddha, Gandhiji, Ambedkar, Lincoln, Amartya Sen, etc. Also, I noted down quotes from important speeches of Prime Minister and President. CSC: Did you attend any coaching institute? How helpful are the coaching institutes? What is your overall opinion about the coaching institutes? Jagdish: Yes. I joined INSIGHT IAS ACADEMY of Shri S. BALIYAN sir at Delhi. Coaching classes were of great help especially considering that I was coming from an engineering background. The optional classes were helpful in giving me a deep insight into the subject and the Test series was helpful to push me towards completion of portion and improve my presentation skills. CSC: What are your suggestions for freshers who want to join coaching institutes for preparation? Jagdish: Personally, I believe coaching institutes are a good way of streamlining preparation and testing oneself by way of mock tests and guidance. However, with that said, I believe coaching institutes can function only as a way of guidance and cannot substitute the self-study. The questions asked are often dynamic in nature and requires quick thinking and good presentation in Mains. Thus, it should be significantly substantiated with efforts from an aspirant. CSC: What was your style of writing in the exam? How was it distinct from the general writing style? How did you develop this writing style? Jagdish: There was nothing significantly different in my style than others. All I focussed was on meeting the demands of the questions and generating continuity with good content in my answers. 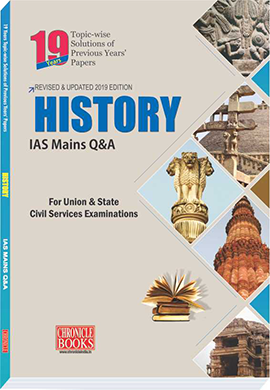 This came after seeping through the toppers test copies and giving test series myself, which helped me to understand the question thoroughly, breaking it into sub-parts and answering the question accordingly and importantly completing the paper within 3 hours. CSC: How helpful is one’s background in his/her success? Jagdish: It doesn’t really matter greatly until the Interview stage. And even at that, it depends upon how well you can defend questions from the field if asked. The most significant part my background from an IIT played for me, was getting a good peer group. If one has that, the background ceases to be an important determinant. CSC: Does this exam provide a level playing field for the rural or economically poor background candidates? Jagdish: I believe it doesn’t entirely. Even though the syllabi and stages of examination are set keeping in mind all the aspirants, the selection ratio would stand to tell otherwise. The pattern of examination requires, good study material at the Preliminary stage, a good writing style at the Mains stage and a good personality at the interview stage. This, I believe, puts people from rural background or economically weaker backgrounds at disadvantage, who can often not afford to prepare for an entire year for Civil Services Examination. However, there are significant number of examples of people who have beaten the odds. CSC: How did you prepare for interview? Jagdish: I focussed on my Detailed Application Form(DAF) and the permutations the questions can be asked from, at first, along-with issues of current relevance. I went for some mock-interviews and analysed my performance by sharing it with my friends, getting their feedback on areas that may require improvement. Alongside, I tried to watch some toppers mock-interviews on Youtube. I engaged in discussion with my friends on issues. By the last week, I tried to expand the scope of my study and cement it by reading 4 newspapers, including one economic daily. CSC: Which type of questions were asked in interview? Did you answer all? Jagdish: The questions ranged from a wide variety of subjects – International relations, Biotechnology, Medieval history, Terrorism and its funding, Education, and Ethics. There were situational questions as well. I was unable to answer all the questions. CSC: Was there any specific area the interview board emphasized upon? Jagdish: No, it was a mixed bag of questions, drawing from my DAF, current issues and personality based. CSC: Before getting down to actual preparation, what kind of reading should one do to improve one’s suitability for this exam? What is the outside reading one should do? Jagdish: One should start and be thorough with NCERTs (6th – 12th). They are a gem of study material, and are interesting and grasping. They will help one to understand the scope of study for the examination. Also, it is important that one starts reading a newspaper daily and focussing on important issues for the examination. This should set the tone. CSC: Whom would you credit your success? Jagdish: I would credit this success to my family, which didn’t question my decision to prepare for IAS examination and held me with the psychological support needed at every stage, my teacher Shri S. Baliyan Sir whose guidance helped in cracking this exam, my friends Siddharth and Minha, who were instrumental in my preparation, guiding me and helping me through, giving me their emotional support and company in times of anxiety, and the almighty. CSC: What is your advice to the freshers who are going to appear in this exam? Jagdish: Freshers who are entering the preparation cycle this year, please remember that the most important factor is perseverance. If you can toil your way even through failures during your preparation, with a positive attitude, then you are perfectly fit for this examination. And, always remind yourself, why you wanted to pursue a career in civil services. If your purpose is bigger than you, then it will provide you humility and a zeal to work for the welfare of others. CSC: What is your advice to the candidates who have failed in this exam? Jagdish: I understand the state that failure brings to you. More than being happy of selection, I was relieved that I did not fail. Failures become a burden when we attach ourselves to expectations, and beliefs of others and when we make CSE as a basis for path our life would take. I would sincerely suggest, remember this is just a job. No matter, it is the most prestigious, but still it is just a job. Your purpose should be above you, but this examination should not hold your life hostage. Prepare for its own sake, without attachments. Failure is a part of preparation. It’ll make you stronger and calmer. Embrace it. I know, it may seem fairly easy to say on my part in the present moment, but remember, life is well beyond this examination and has a lot to offer. CSC: Do you think Civil Services exam is a true test of a candidate’s merit? Jagdish: I believe it is. It tests us on multiple levels, with each level presenting a different challenge. It tests our memory, our reasoning skills, our presentation and our personality and our psychological strength. There is no other exam which tests individuals on such a wide array. However, at the end of the day, it’s been a journey towards self-discovery for me, part of a larger context of life. It is important to realise, that it’s an examination for exclusion, rather than selection. It may not be able to reflect the best an individual has to offer, but it comes closest. CSC: Since when did you begin reading Civil Service Chronicle magazine? What are your suggestions to make it more useful for civil service aspirants? 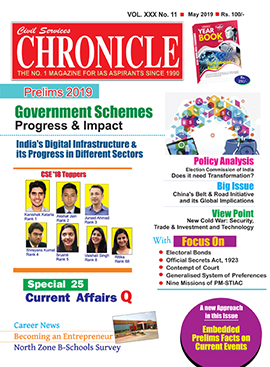 Jagdish: I started reading Civil Service Chronicle magazine during my days of IAS preparation. It is a comprehensive magazine and covers issues very well. It helped me in covering current issues comprehensively. CSC: Heartiest congratulations to you from Civil Services Chronicle for your success. How are you feeling about it? Dilip: Very happy, can't be expressed entirely in words, but finally hard work has paid off. CSC: What is your inspiration for becoming an IAS officer? Dilip: I wanted to become IAS since I was in Sainik School & inspired by encouragement received by IAS officers visiting school. Due to my background of poor rural family, I wanted to do social & national service, and contribute to development of all sections of society & country. CSC: Whom do you credit for your success? Dilip: My parents, friends, & teachers who gave direction in this journey. Moral support I received from parents & friends was crucial. I've received valuable guidance from Vajirao & Reddy Institute under Dr. S.S. Chaudhary, Unique (pune), Success (pune). CSC: What is the role of family and others (teacher, friends) in your preparation and success? Dilip: This journey was full of ups & downs. Positive encouragement during periods of failure from family & others helps us to fight our best & strive towards giving 100% to achieve success. CSC: What was your source of preparation. Which Books, Magazines, News Papers and Online Sources were used by you during your prepration? Dilip: Basic books like NCERT, Spectrum, Laxmikanth, Magazines like World Focus, Chronicle, Newspaper - The Hindu. Online - Rajya Sabha TV, Mrunal youtube. CSC: How much time did you devote for this exam? Dilip: I prepared a meticulous plan & time table of study & followed it diligently. I made notes of newspaper from prelims & mains point view. CSC: Did you integrate your Prelims and Mains preparation or was it separate? Dilip: It was an integrated approach as syllabus overlap is also there & books are also similar except optional, which was prepared separately. Prelims study focussed more on factual things & approach in mains was to combine facts with analytical ability & multidimensional thinking. CSC: Did you prepare notes? How helpful were the notes? What is your advice on notes-making? Dilip: Yes, I have habit of notes making since MBBS as our books were bulky. Notes are helpful because they help in revising things, consolidate information, save valuable time. I advice aspirants to utilise benefits of making notes while studying. Dilip: I read lexicon for basic overview, also 2nd ARC for governance. Political Science optional helped with philosopher & thinkers part. Self examination of our personality is important. Personal life examples are asked in questions. For case study part, answer writing & using theoretical part helped. CSC: Tell us something about your preparation of essay paper. Dilip: I consistently have received good score in Essay (152 in 2017). I prepared many quotes of Gandhiji, Ambed Kargi, Lincoln etc. Also, brain storming is important before essay. Essay writing practice is essential. I wrote quite a few essays between prelims & mains. Political Science optional helped in it too. Dilip: I combined paragraph & points format both depending on questions. I made utmost use of facts & analysis, diagrams, flow charts, underlining key words. I wrote in the ‘intro, body, conclusion’ format. I always kept answers balanced, multi-dimensional, with logical solution based conclusion, I joined test series in Vajirao & Reddy PT & Mains, Unique (Pune), Success (Pune), it helped a lot. CSC: What was your optional? What was the basis of selecting this optional? Dilip: My optional was PSIR. I selected it because of my interest in global affairs (IR), it also helps develop analytical thinking, also very related to administration, governance of a country. Dilip: I gave the interview last year but got less marks (138), because I did not give it much time due to my job. This year, I prepared diligently like self examination, balanced thinking, communication skill, current affairs. Also, mock tests at Vajirao & Reddy Institute under Dr. S.S. Chaudhary Sir, KSG, Unique etc. and improved my score to 193. CSC: Which type of questions were asked in the interview? Did you answer all of them? some general like should railways be privatised? What is CSR, Navic, GPS etc. I answered most questions, I said don't remember to two questions in the interview. CSC: Was there any specific area they emphasised upon? Dilip: My job experience & medical background. CSC: Importance of coaching in the preparation of exam. Dilip: Direction & guidance is important in this journey. Good coaching helps us with guidance & support. For GS, I joined Vajirao & Reddy Institute, Success academy, for optional - Shubhra mam, for interview, mock tests at Vajirao & Reddy etc. CSC: What is the role of Civil Services Chronicle in your success? Dilip: Chronicle gives thorough & detailed information on current affairs. Optional being PSIR, current & global affairs were crucial for me. Chronicle kept me updated on these issues & also gave systematic, to the point data & also good analysis. G.S. :NCERT, The Hindu, Laxmikanth, Spectrum, Shanker Environment, Culture Singhania. G.S. 1: Culture Singhania + NCERT, History Spectrum, Sociology NCERT, Geography-NCERT, G.C. Leong. G.S. 2: Polity - Laxmikanth, IR - The Hindu. G.S. 3: Economy - Ramesh Singh, Hindu. G.S. 4: Internal Security - TMH, Hindu, Lexicon. Optional Paper-1: PSIR I - Gauba, Heywood ideology, Laxmikanth, Hindu. Optional Paper-2: PSIR II - Ignou for coparative, IR - Hindu, Rajyasabha TV, World Focus, Selective – Sumit Ganguly, Heywood. Magazines/ Newspapers: Chronicle monthly & yearly magazine,The Hindu, World Focus. A brilliant student right through his schooling days, had to endure many failures, in his journey to crack the IAS exam. He has had a journey, dotted with highs and lows, failure and little success. Meet Durishetty Anudeep. First rank holder in UPSC Civil Service Examnination 2017. An engineer, who had worked with Google, before getting into IRS. An all-rounder since childhood, he has done B.Tech from Birla Institute of Technology and Science (BITS), Pilani in Rajasthan. He qualified the examination with Anthropology as his optional subject.For Durishetty Anudeep, topping the Civil Services exam was a dream. The achievement, however, was not an easy one to come by. It took the 28-year old Indian Revenue Service Officer five attempts to make it to the top. It was his fifth attempt. He had failed thrice before, and the journey was not easy for him. Currently serving as an Assistant Tax Commissioner in Hyderabad, Durishetty Anudeep started preparing for Union Public Service Commission examination in 2012. He used to study along with his job.The son of D Manohar, an assistant divisional engineer with Telangana Northern Power Distribution Company Ltd, and D Jyothy, a homemaker, Anudeep comes from Metpalli town in Jagitial district. Since I had a regular job, I did not get much time to study during the weekdays. So I used to make the most of my weekends and study hard. My family has been my backbone and if I did not have their support, I would not have been able to top the examinations. Because of my regular job, I was not able to get much time to devote to my studies during the weekdays. Therefore, I used to prepare the most for my weekends and study as much as I could. I have interest in tennis and football, and am a fan of English football club Arsenal FC. Movies are good, books are great and music is soothing. But my life wouldn’t be half as joyful or interesting if it were not for the time I spend watching and playing sports. While doing my degree, I developed an interest in civil services. On my first attempt, I had cleared the UPSC preliminary and mains exam, but failed to clear the interview, after which I joined 'Google India' as a software engineer in Hyderabad and side-by-side continued to prepare for the UPSC exam. In spite of having deep interest in Artificial Intelligence, I decided to follow my dream of being an IAS officer rather than a researcher at Google. In my second attempt in 2013, I got the IRS cadre and was appointed as a customs and central excise officer. However, my quest for IAS (Indian Administrative Services) continued. In the subsequent two attempts, too, I could not achieve success. This year, it was my last attempt and I put my heart and soul into it. By grace of god, I topped the Civil Services. I have qualified the examination with anthropology as my optional. The subject had been close to my heart right because it deals with the evolution of mankind and the society. One of the primary requisite to crack the civil service examination is to update yourself with current facts, in-depth knowledge of recent topics, and constant practice. I relied n mock tests apart from reading newspapers. Apart from the day to day study, I watched the news and read newspapers like The Indian Express, The Hindu, and also read magazines. The online mock tests helped me a lot, as they also contained answers. I never got stressed and studied with patience and concentration. It is not necessary that one enrolls with a coaching institute. These days everything is available online and all one needs is the zeal and motivation to crack the test. There are many websites, magazines and newspapers that can provide one with all the required information. Even then if someone has a doubt, YouTube is the best tutor. I have naturally opted for the Telangana cadre. It will give me an opportunity to serve my home state, which had become a reality after a prolonged struggle. CSC: Heartiest congratulations to you from Civil Services Chronicle for your success. How do you feel about it? Anu: It is a very warm and a nice feeling. I am really very very happy. Since a few days are gone now, along with the celebration mood, I’m starting to get a feel of responsibility. CSC: What is your inspiration for becoming an IAS? Anu: In life, I am generally inspired by Swami Vivekananda a lot, he is my inspiration. But, as such the thought of joining the Civil Services that came was when I was feeling very monotonous and drudgery had set in my private job in the corporate sector. I had begun to feel that if I continue doing what I’m doing for the rest of my life, perhaps I would not die a happy person. I wanted that if I look back in my life few years down the line, I should be able to have a fulfilling experience; for that I thought that Civil Services is the best platform and that is how I thought of getting into Civil Services. CSC: Whom do you give credit to for your success? Anu: A lot of people are responsible for my success- my father, my mother, my masi, my brother, mamaji, my husband’s side of the family, almost everybody. Even my friends helped me a lot. There were girls whom I did not even know properly, even then they helped me a lot. And finally, God’s grace. CSC: What is the role of family and others, like teacher and friends in your preparation and success? Anu: As I just said, these people have played an instrumental role in my success. It is only because I could leave my son to my mother’s care, I was able to focus on my studies. I was contented that he would be taken care of even better than I would have cared for. I lived at my masi’s place, she made me feel so comfortable that I did not even had to get up to get a glass of water. I was able to devote the entire day to studies. My brother used to help me out with small bits of information on whatever topic I needed. So, my friends, family, a lot of people have played an important role in some or the other way. CSC: What was your source of preparation? Which books, magazines, newspapers and online resources were used by you during the preparation? Anu: For the static portion, I had basically relied on the NCERT books and standard books. For Geography, for example, I used class XIth and XIIth NCERT books, for Polity I used Lakxmikanth, for Indian national movement I used Spectrum book, for Environmental Studies I used Shankar IAS, for economy I used Shri Ram printed notes, so on and so forth. When it comes to Current Affairs, for that I relied a lot on online sources and one single source that stands out is Insights on India website; from there I used to read the daily current affairs and attempt the MCQs and then I also did their online test series. Basically these are the sources I referred to, other than that I used to refer to compilations of some magazines to quickly revise the name of the schemes and what they pertain to. Anu: Today, with the benefit of hindsight I can say that 1.5 years of dedicated study is good to crack this exam. When it comes to my case, I started preparing for Prelims 2017 immediately after Prelims 2016 results were announced. I could not clear Prelims 2016 by 1 mark and after that I started preparing for Prelims & Mains 2017 in an integrated manner. I believe that if you start a year prior to Prelims, it will be sufficient to crack this exam. CSC: How did you manage your time in both Prelims and Mains examination? Anu: Time management is a very crucial thing and also very tricky. I focused on little things, for example when I used to go for morning walks, I used to listen to the All India Radio news, after coming back I listened to the Rajya Sabha TV programs; even while eating I would listen to one or the other program on Rajya Sabha TV. I used to devote my entire day to studies besides the sleeping time from 10 pm to 4 am; basically I am a morning person so I used to get up early and study. For effective time management, I deactivated all my social media accounts- Facebook, Whatsapp etc. Also, I cut down on my family and friends time; I did not attend any family functions because at that point of time, the priority was preparation. CSC: Did you prepare notes? Anu: I personally haven’t done much of notes preparation, especially for the Prelims preparation, I haven’t done it. When it comes to Mains, I had started preparing some soft copy notes especially for parts like important statistics- GDP of the country, growth rate, how much is being spent on education, health, names of important committees etc. On whatever important current affairs were going on, I prepared very small, precise and crisp notes so that I could revise them quickly on the day of the Mains exam. CSC: Was it subject-wise or paper-wise? Anu: It was subject-wise; I had four word documents- GS-I, II, III, IV. For essay paper also I prepared soft copy notes, wherein I had jotted down and compiled the quotes by important persons and important current affairs that could be linked to multiple essay topics. Similarly, for my optional, in order to relate the optional with the current affairs, I had prepared a soft copy for that also. CSC: Students usually face problem in Ethics, Paper IV. Which books have you referred and what was your strategy for preparation? Anu: I believe people face problem in GS-IV because they tend to ignore it. People believe that it is an easy paper and they’ll be able to write it but I can tell you that I have devotedly prepared for GS-IV. I referred to the book named G. Subba Raofor Ethics paper and practiced a lot of answer writing, I compiled the quotes and important proverbs and referred to them multiple times; I precisely focused on the content written in the syllabus. I prepared definitions of every word written in the syllabus and studied all the dimensions related to the words. CSC: Tell us something about the preparation of the essay paper. Anu: Essay again is a very crucial part and does not have to be missed. I practiced a lot of essay writing. On almost all the weekends, I used to write one essay and used to get it evaluated by my friends, sometimes by my brother. A few months before the Prelims, I was not writing anything but overall I would have written around 12-15 essays and got them evaluated continuously. CSC: What was your style of writing in the examination? Anu: I come from a science background so I have a habit of writing in bullet format. Mostly it was in bullet format and I used to support that with a lot of diagrams and flowcharts. CSC: How did you practice writing answers? Anu: Generally, for most of the questions, I would want to follow the style of introduction, body and conclusion but due to paucity of time I had to skip it some of the question and had to come directly to the main point. So, out of 20 questions say in around 12-15 questions I would have followed that style and in the remaining 4—5 questions I would not have. CSC: What was your optional? What was the basis of selecting it? 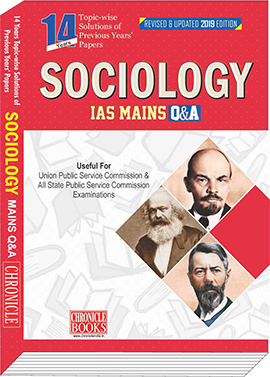 Anu: It was Sociology. I selected Sociology just by chance. I did not know about the subject but I was told that it has got a smaller syllabus and can be prepared pretty quickly. Other than that I relied on availability of the material, notes were available in the market and then I thought that it would help me in the preparation of topics in GS-I which were related to society etc. That is how I took it. CSC: How did you prepare for the interview? Anu: For interview preparation, I had some background. Because I have worked in the corporate sector for 9 years, there was no hesitation and I was confident enough to face the board. But, in order to have a feel of variety of questions, I attended many mock interviews. That helped me boost my confidence and to assess myself on how I perform under pressure. Many times, there used to be questions that I could not answer so I learnt how to calmly handle the situation and smilingly say “No, I don’t know the answer”. CSC: Which was the board for your interview? Anu: It was Smita Nagaraj Maam’s board. CSC: Which type of questions were asked in your interview? Anu: The questions were not specifically related to my optional or particularly to current affairs. There was a variety of questions and the questions were related to a lot of fields. I was asked questions on PPP, standards of education in our country, narcotics problem in the country, why there is corruption in schools in India. There were quite a few questions on my career in insurance sector and health sector. Certain questions were asked on the latest budget, the kind of schemes that have been launched in the budget, were they good or not. Then there was a set of pretty interesting questions, for example one of the questions asked by one of the honorable member was- “There are pink pajamas flying over the Red Fort today. What do you understand by that?” Because my hobby is drawing and painting, the other question was- “It is hugely said that artists have a third eye. What do you mean by that and do you have a third eye?” So it was a mix of some interesting questions, current affairs, my background and issues in our surrounding. CSC: Were you able to answer all the questions? Anu: No, I was not able to answer three questions. The second question was “Since you travel from Delhi to Gurgaon by Metro, what is the difference that you have found at the ground level if you compare Delhi metro with Gurgaon metro?” But since I have not travelled in the Gurgaon metro, I could not answer this. CSC: Were there any specific areas that they emphasized upon? Anu: During the interview, I wouldn’t say that there was a particular theme to it. But as I had said earlier, there was an emphasis on my work profile and my background, the sectors that I have worked in. CSC: Were there any questions that you had prepared for but weren’t asked during the interview? Anu: Oh of course. I had prepared thousands of questions and there were thousands of questions which were not asked to me. I had memorized a lot of statistics, comparison between Indian and Chinese economy, India and American economy, what does the IMF says, what does the World Bank say and a lot of questions on Haryana because Haryana has a lot of controversial topics- khap panchhayats, issue of women in Haryana, for that matter patriarchy and reservation issues, the latest Ram Rahim case. So ya, I had prepared a lot of questions, especially I was expecting question on Haryana but there was none. CSC: What is the importance of coaching in the preparation of the exam? Anu: I would say that coaching is not extremely crucial for success in this exam. I had not taken any coaching for GS or my optional preparation. I had relied on self preparation. What I took help for was for answer writing. For my optional, I had joined Nice IAS Coaching Institute to practice answer writing. Other than that I did not rely on coaching. But yes, again for interview preparation, For interview preparation, I gave mock interviews at Samkalp, Vajirao & Reddy, Vajiram, Khan Study Group, Rau's etc. Individual guidancereceived here helped me improve my score. Anu: I had referred to the Civil Services Chronicle Annual Issues to quickly revise the schemes and what they pertain to. For some parts of current affairs, I have relied on it. CSC: First of all, our heartiest congratulation to you from Civil Services Chronicle. 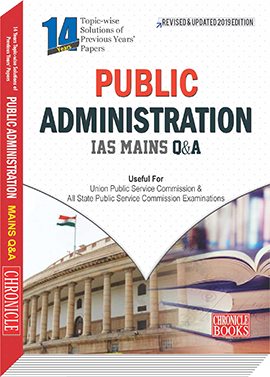 How do you feel about achieving AIR 5 in the UPSC Examination? Pratham:It’s a very pleasant feeling. I feel very good that I have been able to fulfill a dream that my family had dreamt long time ago. CSC: What was your inspiration to become an IAS? Pratham: I drew inspiration from my father, who is a Haryana Civil Services Officer. As a whole, I feel, as an IAS you are most equipped to empower people and I definitely believe in the approach that one does not feed fish to someone, instead you teach them how to fish. I feel, to empower people and to provide them with more opportunities, IAS is the best way to do it. CSC: To whom do you give the credit for your success? Pratham: The credit lies with all my friends and family, all the teachers who have been with me during this journey and all the well wishers; but specifically I wanted to be a role model for my little sister, which constantly motivated me; so I give credit to her that I could be an example for her. CSC: It has been observed in the last few years that people who are graduating from technical backgrounds have been more successful in the examination. What are the possible reasons behind this? Pratham: Actually, if you see, Civil Services is the most diverse pool of human resources that India has had earlier and now as well. You will see that students from different backgrounds, not only from engineering background, but also from medical, humanities, law background as well are becoming bureaucrats. People with technical background are getting slightly more success which might change in a few years. It is not a permanent trend. It will definitely change. CSC: Students coming from these technical backgrounds take Humanities as their optional and they achieve success in the exam. What may be the reasons for this and do you think it is the right way? Pratham: In my opinion, UPSC offers you an optional subject to check your attitude to study any subject in great detail. For example, even I took Geography as my optional and I have an engineering background, but I do not see any correlation here. There are many engineers, many of my friends as well, who have taken engineering as their optional subject and they are getting success too. It lies in the personal preference of the candidate. CSC: What do you think is the criteria for choosing an optional? Pratham: Geography, in my opinion, is an optional that helps you in General Studies as well and it is an ever-evolving optional because every day the human geography is changing. It is an interesting optional, that is why I took it. CSC: Is there any correlation between one’s age and the preparation? When should one start preparing for the examination? Pratham: I do not think that age is a factor in starting the preparation. The moment you feel that you want be an IAS or that you want to be a Civil Servant, you jump in right there. CSC: When did you start your preparation? Pratham: I started casually, during my college to look at the sources and newspapers but I started serious and regular preparation right after my college. CSC: It is often seen nowadays that students who enter class XIIth are starting their preparation for three years. Do you think this trend is a good thing for them? Pratham: Civil Services is not only about the knowledge that you’ve gained through your preparation, it is also about your personality and one’s personality is groomed right from their childhood. So, for students who are taking up coaching or who are taking specific subjects right after class XIIth, I think it is a bit too early; they should concentrate on their graduation subjects. During graduation or right after graduation, they should start preparing. CSC: What was your strategy while preparing for the exam? Pratham: The most important aspect of my strategy was to break the syllabus down in small parts because the syllabus is vast. Sometimes you get lost in there, so to streamline my preparation, I divided the syllabus into small parts and assigned a few days for each part and then started to prepare them and revise them. CSC: Did you have a separate strategy for Prelims and Mains or is it possible to prepare for both simultaneously? Pratham: Except for the month right before the Prelims, I think the preparation is collectively done because the syllabus is more or less overlapping, so except for some specific topics for Mains and the time right before the Prelims exams when you have to mug up certain things, the preparation is all inclusive. CSC: What should one consider while selecting notes and books for preparation because it is often seen that there are a plethora of books and materials out there? So how should one go about it? Pratham: There is a lot of guidance available. 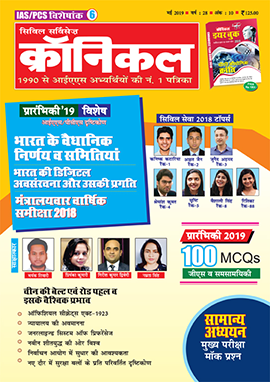 I looked for strategies adopted by the toppers earlier and through that you can very well analyze that which material is best for which topic because there is no material that is perfect for the whole syllabus. In fact, even in GS or in optional, you have to look for materials for that specific topic and you have to read it multiple times. CSC: If you can delineate a strategy for preparation for the overall examination, what would it be? Pratham: First of all, as I said earlier, you break the syllabus down to understand it better and so that the syllabus does not bug you down. The second thing is to gather few resources based on the advice by your seniors or by toppers, you look for the resources and find out the best resources and then you read it, re-read it and then revise it; reading one source multiple times helps. You can divide the syllabus on the basis of what is more important and what is less important, by looking at the previous year question papers. Things that are more important can be prepared in great detail and the rest of the topics can be just gone through quickly. Beyond all these things, you need to have a very good opinion of yourself, good self confidence, and a belief that you will make it because eventually attitude and belief will take you through the examination. CSC: In the Mains examination, one should follow an inter-disciplinary approach and the same is the case with the questions. So how can one develop the inter-disciplinary approach? Pratham: My optional was Geography and it is an inter-disciplinary subject because it encompasses history, geopolitics, political sciences and society. So, because of the optional, an inter-disciplinary approach was developed automatically which helped me in GS as well. CSC: Can essay be prepared with the help of essay specific classes just like GS? Pratham: Essay is a written test of your personality, according to me, because at the Mains level you get to write your thoughts for three long hours on just two topics, so essay preparation lies with two aspects- one, your thought process, and other is the material and content that you have. The content can definitely be taken from the GS preparation and the thought process and the structuring of your essay needs to be practiced repeatedly. There is no such correlation between essay specific classes and the exam. CSC: Ethics paper which is a very dynamic paper but over the years it has been noted that the questions are very easy but scoring marks has been difficult. Can you state why? Pratham: In Ethics paper, you basically write what you think because time crunch is there and the paper is lengthy. The difference in marks is definitely because of two reasons- first, it is the solution that you think of the case study or problem that is given and secondly, the way you write it or your expression. CSC: Did you find it necessary to study the whole syllabus as the whole syllabus of UPSC is vast? Is it necessary to cover the entire syllabus? Is it possible? Pratham: That’s what I told you, that you divide the syllabus into different parts. You will see that some parts of the syllabus are very crucial and important and are repeated almost every year which should be prepared in detail. Among the rest of the topics, you can pick and choose. Definitely, you have to skip certain topics because either they are not very relevant as far as questions are concerned or they are too dynamic to be completely prepared. CSC: Can you give some insights into how you prepared subject-wise for both GS and optional? Pratham: Most of my preparation is based on the NCERT and core books; I have read NCERT books multiple times. For GS I, for example, History, Art & Culture, I prepared everything from the NCERT books. Geography was my optional so I didn’t need to prepare specifically for it. For GS II- Polity and Governance, I relied on the current affairs and I tried to find out the reasons and need for certain government policies and their impact. For International Relations, I prepared certain bullet points on which international relations depend and vary; along these lines I wrote my answers in GS II. For GS III, Agriculture and the Indian economy were covered in my optional; for the rest of it, I relied on the newspaper because GS II and GS III can comprehensively be covered with the help of newspapers. For Ethics, I did not read anything specifically. 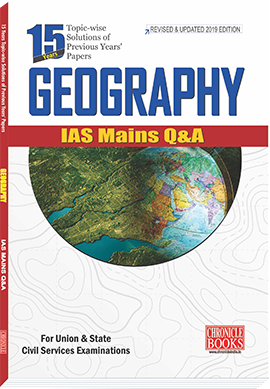 For Geography optional, there are specific books for different topics and along with the books, various materials from teachers are available in this field, they helped. CSC: Have you taken any coaching classes? Pratham: Yes, I joined coaching for my optional subject and test series. Coaching has been an important part of my preparation. CSC: Thank you so much.